What's New at the Great New York State Fair in 2018? What&apos;s New at the Great New York State Fair in 2018? 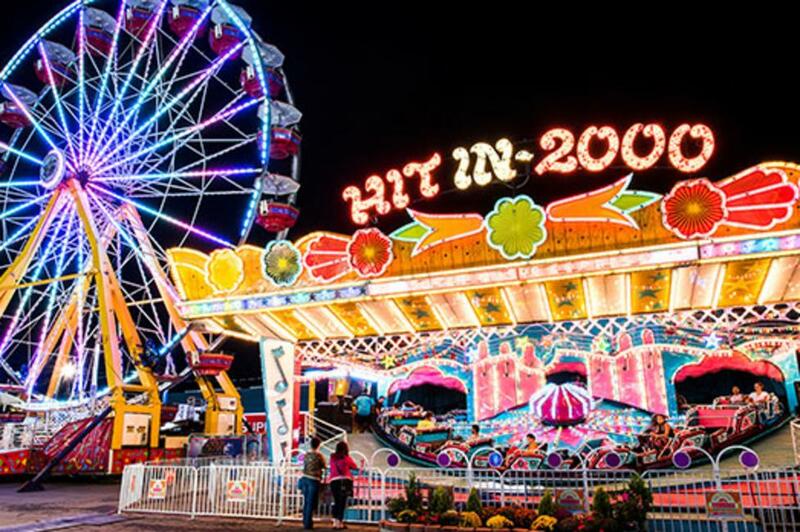 The nation’s first and longest-running state fair is back, bigger, and better than ever! And we mean that literally; it’s physically grown thanks to the addition of a brand new exposition center. Thankfully, the fair staples are not going anywhere, so you’ll still find incredible free live music performances across six venues, arts and crafts, fireworks, old cars, live animals, every kind of competition imaginable, and so. much. food. But making it even better is the fact that every year the organizers add new events and attractions. So read on for our roundup of the new stuff coming to this year’s fair. This year, a brand-new $63 million expo center was built right in the middle of the fairgrounds. The new 110,000-square-foot center is one of the largest event venues in the Northeast, with 4,000 seats, room for up to 500 booths, a concession area, and an outside balcony. For its opening year at the Fair, the Expo Center is going to be extra cool thanks to a temporary ice rink set up for hockey, figure skating, and public skating (skates will be free to borrow). The rink was added in as a throwback to the 1932 and 1980 Winter Olympics hosted right here in New York. You’ll also find the famous annual sand sculpture exhibit which you’ll see take shape before your very eyes as well as a special I LOVE NEW YORK experience highlighting all of the seasons. 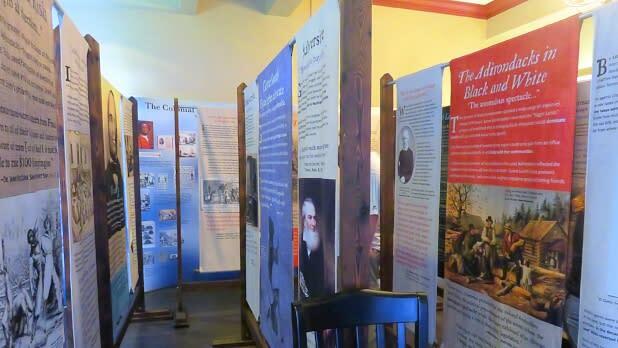 History gets some high-tech treatment in the fair’s brand new interactive exhibit. 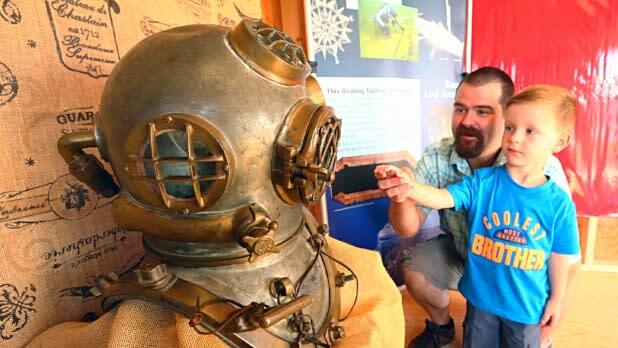 Daily underwater drone demonstrations, wooden boat-building demonstrations, and use of a remote-sensing buoy will all contribute to the story of New York’s maritime history. Learn about the 80 lighthouses along the coastline which have played a historic role in American trade and war, as well as the technology that powered them, and the women who manned them. Gather round, it’s story time! For the first time, the State Fair is holding a two-day event on Friday, August 31 and Saturday, September 1, dedicated to New York stories and the art of storytelling itself. The first day is the Great New York State Story Slam. 10 pre-registered audience members will be chosen to tell a true story in only five minutes around the theme, “Life in New York State.” The next night is a bit different; three master storytellers will perform longer-form stories for the audience, with each story followed by a quick set of improv comedy. All performances will be recorded and turned into a special radio show for the event’s sponsor, Public radio station WRVO. Don’t miss your chance to hear a little slice of New York life. What happens when you take yummy, indulgent state fair foods, serve them freshly made in a food truck kitchen, and add a little competition to spice things up? 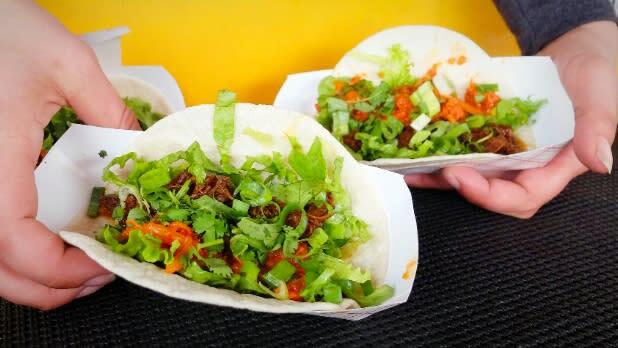 You get one of the most popular events of the year, the Taste NY Food Truck Competition. Thanks to its sponsor, Taste NY, the contenders are all from New York and use mostly local ingredients, using the opportunity to showcase the state’s bountiful (and delicious) agriculture. The way it works is each truck brings its best dish and you sample as many as you’d like for $3 a pop. Then, text your favorite to a special phone number provided day of. The truck with the most texts wins the People’s Choice, while a panel of judges selects the Judges’ Choice. This year, 18 new contenders will throw their chef’s hats into the ring, so look out for new options including a blueberry greek yogurt gelato, deep-fried candied yam, ice cream nachos, lavender lemonade, apple pie tostados, and more. Here’s a jam you’ll actually want to get into. The fair is adding a brand new element to its culinary competition, a jam and jelly class of exclusively state-grown Concord grapes. Concord grapes have been a huge part of the economies in many New York regions for hundreds of years, so it’s only fitting that they get their very own segment. Entries must be jam, jelly, or preserve and must use only locally sourced Concord grapes or juice. Judges will be grading appearance, texture, and of course, taste. You can find the culinary competitions daily in the Art & Home Center, and the Concord segment will be on Friday, August 24. We’re expecting it to be an event jam-packed with fun. (See what we did there?) Find details on how to enter the competition on the State Fair website. New York’s maple is amazing, and we’re not just saying that because we’re biased. The industry is booming, having practically doubled in size over the past five years, the number of taps up to 2.73 million! In fact, New York claims the spot of the country’s second-leading producer of delicious maple syrup. And all that maple means we’re bona-fide experts in creating delicious maple treats. 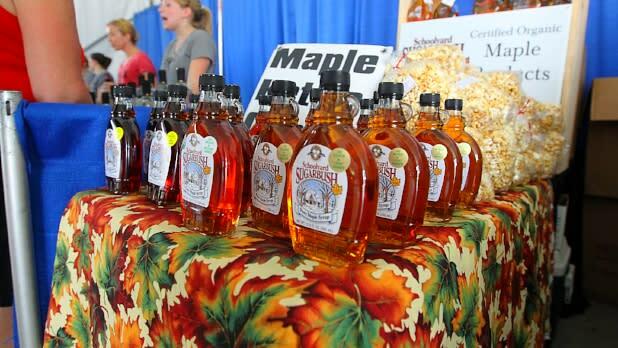 That’s why the New York State Fair is holding an inaugural Maple Day on Monday, August 27 to celebrate the industry’s hot streak. Get ready for maple candy, maple donuts, maple cotton candy, and of course, classic maple syrup drizzled generously over pancakes. The Wegmans Demonstration Kitchen will also hold maple-based cooking demos, and plenty of vendors will be selling New York maple souvenirs for you to stock up on. Melting pot or salad bowl, whichever your preferred metaphor, New York has always been very diverse and very proud of it. This year, the Pan-African and Iroquois Indian Villages are joined by a new addition representing Latin American culture, plus a full weekend of festivities in its honor. From Friday, August 24 through Sunday, August 26, celebrate the induction by listening to live musical performances, dancing, shopping handmade and artisan crafts, and devouring delicious foods. History buffs, make your way over to the brand new exhibit about Abolitionists in New York in the Wegmans Art & Home Center. Way back in the 1820’s, black men were only allowed to vote if they owned property, a rule designed to exclude most of the potential black electorate. However, Madison county local, Gerrit Smith, donated thousands of acres of his land to empower black voters. This exhibit displays letters, documents, and actual photographs, pays homage to this local history, and brings to life the work of prominent New York abolitionists, including Rochester’s Frederick Douglass. You can also attend daily special lectures about voting rights and social justice in the fairground’s Empire Theater. Beef, the beloved staple of the American diet, gets its very own day at the State Fair, Tuesday, August 29, to celebrate its role in New York industry. This year, Beef Day gets a brand new component: “Pound out” Hunger. In this inaugural event, folks are invited to completely demolish a car with a sledgehammer. It’s $2 for one swing, or $5 for three swings, and all proceeds will go toward purchasing beef for New Yorkers in need. Where else can you have this much fun for a good cause? Plus, all the regular activities are still on. Cheer for local media personalities as they face off in a Branding Iron Cook-off, or watch the 12th Annual “Create the Perfect Burger” competition (determined by a panel of judges). Head to the Beef Barn where you’ll find activities such as a scavenger hunt, a hay bale throwing contest, and the chance to meet award-winning beef cattle.